It has been an exciting week for Hummingbird Occasions with the refresh of the website, and I am so excited about the brand-new blog launch today! It has been a big labour of love! 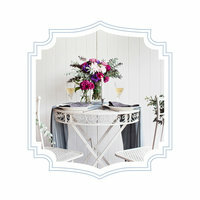 Even though we’ve met, I wanted to do a sort of introduction to what in the world I actually do as a wedding planner! So, to really explain all the things I do now, I kinda have to back up a little bit and give you some history of what I’ve done. With a passion for styling and crafting together details, it was probably always inevitable to end up in the wedding and events industry. In fact, my first job at the age of 16 was working in wedding and events as a silver service waitress, and this gave me my first taste of the world I would eventually come to call my own. I went on to complete a law degree, but I continued working in the hospitality industry during the times when I wasn’t pouring over law books in the library. After graduating, I began working as a receptionist in a hotel, which again gave me a taste for hospitality and customer service, and I just couldn’t deny that it kept drawing me back. It was during this time that I met my, now, husband. He was working as a chef at the same hotel, and we connected easily. We would chat about how our days were going, and I’d always ask him which events he was working – the event world just fascinated me. I confided in him that I would have done things differently if I could, and follow my passion for creating beautiful parties and weddings. I enrolled with the UK Academy of Wedding and Event Planning which taught me everything I could have possibly hoped to know about the wedding world. In 2016 I was ready to launch Hummingbird Occasions, and I have never looked back. 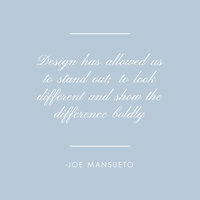 You can learn the theory of weddings, but the design is usually something that comes naturally to people, or it doesn’t. It’s something that I personally found my knack for when dreaming up fantastic birthday parties for my own children. I just thrive on putting a theme and vision together and creating something magical from my imagination. Having attended a lot of children parties with my own kids over the years, I know that busy working parents can’t always spare the time to throw their children the parties they perhaps want to. 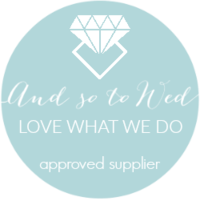 This is where I come in, doing what I love for others – whether that’s planning a dream wedding day for couples who want some assistance, or organising incredible children’s parties that they will remember forever. So why have I wanted to work in weddings and events since I was 16 years old? And why did I never give up on my dreams? Well, I love listening to what a couple really wants and making it happen for them while making it look utterly fabulous! It’s such a satisfying feeling bringing everything together for the most important day in a couple’s life. 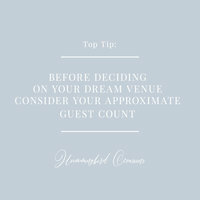 I know what it’s like to have so many tasks to do for your wedding and feeling under pressure right up until the night before your big day when you should be having the time of your life. The night before my wedding I wasn’t entirely happy with my cake and had to spend time fixing this when in reality having a wedding planner would have meant that I wouldn’t have had to worry about this. With my experience in the wedding industry, coupled with my logical approach to tackling projects, I thrive on being that calm influence to help a couple navigate through the phases of wedding planning. I have made a lot of connections in the wedding industry and have a whole network of suppliers who I know could provide the wedding of your dreams. With the beautiful Cotswolds on my doorstep, I am surrounded by inspiration every single day. This keeps me motivated while designing beautiful mood boards for couples, and designing looks for inspirational photoshoots for the wedding industry. The ideal wedding that I love to plan and style is a traditional wedding at a country house, like the Manor by The Lake, which is surrounded by creative influences. 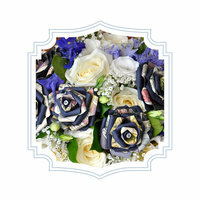 But I am always happy to work with couples to plan and design weddings in any venue. Did you know a hummingbird’s wings flutter 80 times per second? 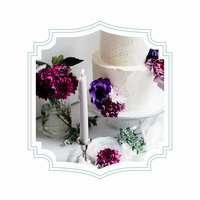 A perfect image as my business begins to fly – in recent months I have been approved as an And so to Wed supplier, had a styled shoot published, got creative with flowers with Dee Mcmeeking‘s flower workshops attended an inspiring Wedding Business Course by Pamella Dunn and launched our website! So I hope that now you feel like you know me a little bit better, although if you hire me as your wedding planner, then we’ll definitely get to know each other a lot more! If you’d like to book a consultation with me, then please get in touch, and we can organise a time to meet and talk through the all important details of your special day.